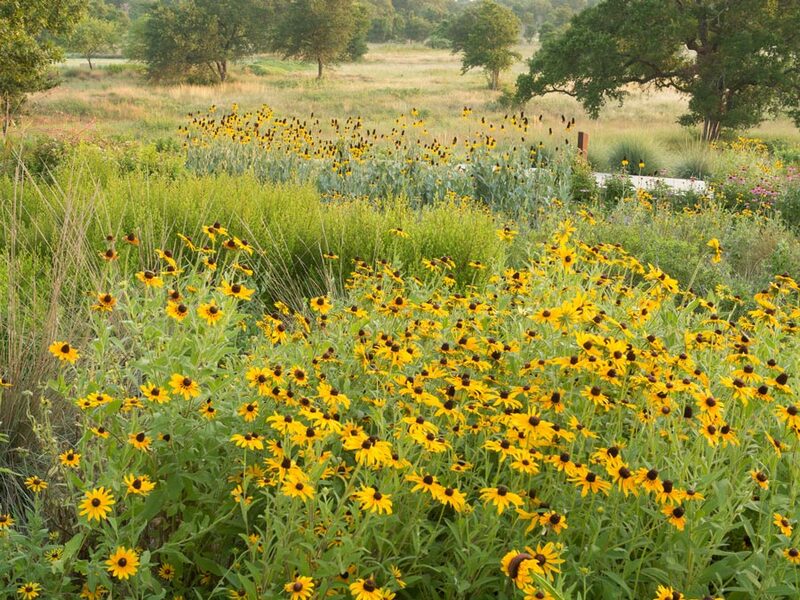 The Lady Bird Johnson Wildflower Center will plant a genetically identical copy of Austin’s famous Treaty Oak today as the first new resident of the Center’s developing Mollie Steves Zachry Arboretum. The 12-foot-tall sapling is a graft that was grown by the Texas Forest Service, and will be planted within the 16-acre Texas Arboretum that opens to the public in spring 2012. It will be the first member of the Texas Arboretum’s “Hall of Texas Heroes,” a collection of oak and other trees in a circle that will be a living reminder of the central role trees have played in Texas’ history. The original Treaty Oak in downtown Austin has survived centuries and is the last remnant of what American Indians call the Council of Oaks. The live oak was poisoned in 1989, and only a third of its original size remains. The installation of the Treaty Oak clone at the Wildflower Center will be the first instance where a copy of the original tree has been planted locally. The Texas Forest Service will plant four other clones of the Treaty Oak today in East Texas at Caddo Mounds State Historic Site.